Welcome to the daily Thread. During the month of June, we are talking NBA Draft. As we lead up to the 2018 NBA Draft on June 21st, we will be revisiting the Spurs draft choices. Today we remember 2004 NBA Draft. While the Spurs took a pass on the 2003 NBA Draft, they made up for the lack of picks by taking 4 players in 2004. For starters, the Spurs chose Beno Udrih with their 28th pick. 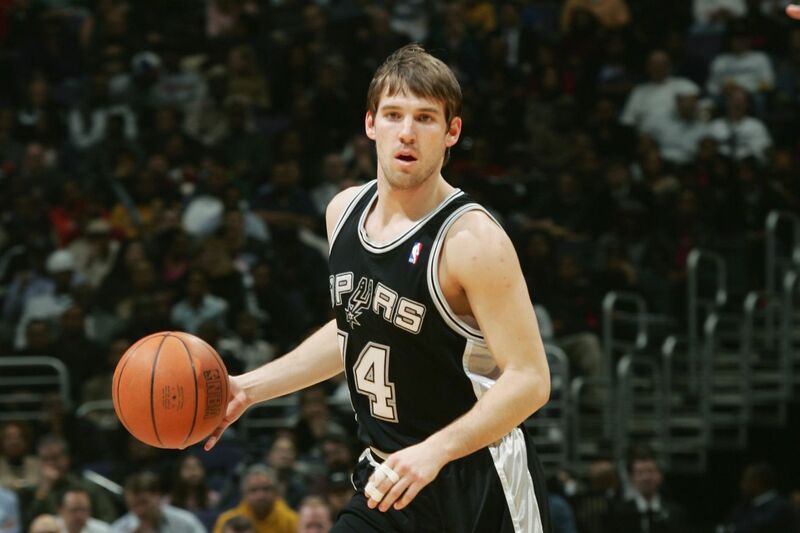 He played his first 3 NBA season with the Spurs winning two NBA Championships in 2005 and 2007. His career has been long as he stayed active in the NBA until the 2017-2018 season when he went to Lithuania, joing his first overseas team since being drafted by the Spurs. In addition, the Spurs picked up the draft rights to Viktor Sanikidze on draft day from the Atlanta Hawks in exchange for 2005 second-round draft pick and cash considerations. The Spurs retain his rights to this day, but he has yet to play in Spurs uniform sans the 2007 NBA Summer League. Sanikidze is still active in Greece. Romain Sato was drafted using a 52nd pick that was acquired from the Memphis Grizzlies when the Spurs traded the draft rights to Gordan Giriček to Memphis in 1999. Sato was subsequently waived by the Spurs near the trade deadline. He has never suited up or played an NBA game but has had a long career overseas. The Spurs used their number 57 pick to draft Russian Sergei Karaulov. He never played with the Spurs and has continued to play in Russia throughout his career. So, four foreign born players were drafted. Unfortunately, there was not a lot of activity in the organization.